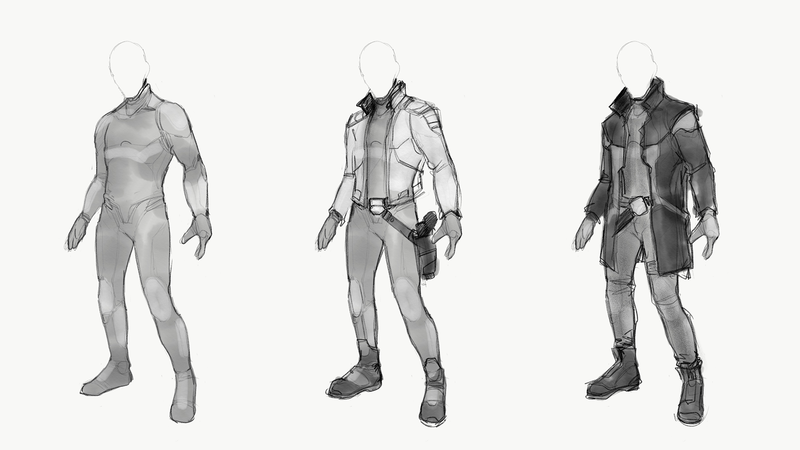 Skinsuits are a standard piece of equipment for spaceship crew members, nomads, rifters, space pirates and alike. Basically for anyone who lives or works in space or hostile planets. Skinsuits work as a protective layer keeping its user warm or cold in extreme temperatures. It also works as an emergency vac suit and most models have basic biometric sensors to help in medical diagnostics. Often skinsuits are worn under other clothing, and they come in various models for different purposes. Basic skinsuits work in most situations. Reinforced skinsuits are designed for construction workers, miners and such, and tactical skinsuits come with added protection against punctures and integrated neural interfaces to connect with powered armors, weapon systems, and vehicle controls, for example.